What is the Alternative to Natural Bark Surfacing? 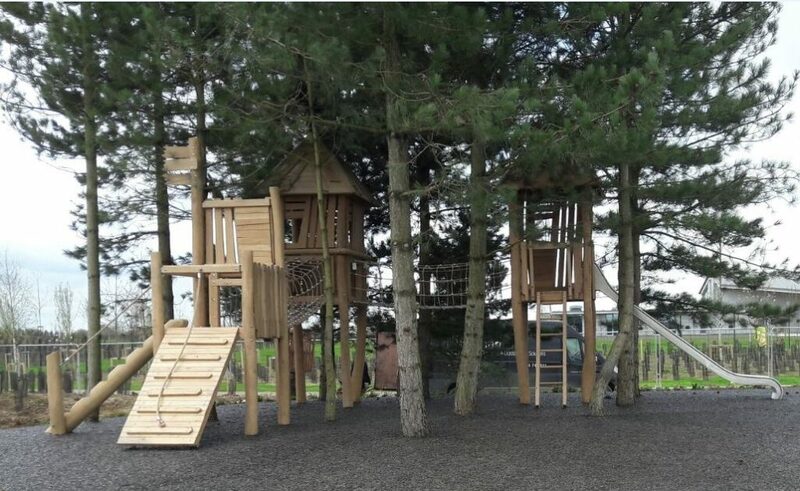 PlaySmart are increasingly finding that clients who once had loose bark on their playgrounds are looking to JungleMulch as an alternative natural looking surface. Why is JungleMulch a good alternative to natural bark surfacing for playgrounds? A recycled rubber mulch, JungleMulch has the look of real bark but is available in a range of natural looking colours which means it fits well into a range of surroundings. At PlaySmart we ensure we use a large, more realistic rubber shred giving the best finish possible once installed. Everyone wants to reduce the time and costs absorbed in maintenance works. 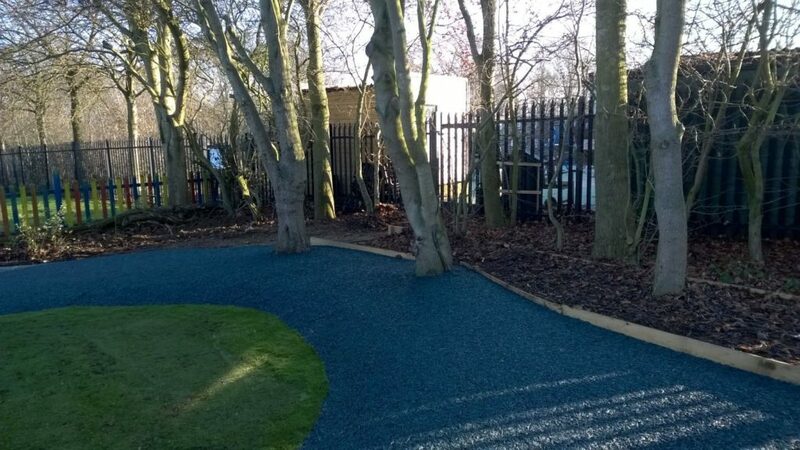 By using a bound rubber mulch, you eliminate the need for constant topping up of loose surfacing levels which can be expensive. You also remove labour costs of checking for sharps and rubbish in the loose surfacing and frequent sweeping required to move the material back to its original area. JungleMulch contains the best quality recycled rubber which eliminates impurities and contaminates such as steel and fabric which can introduce mould, bacteria and rust. From a safety point of view, protecting against falls using a bound product, installed to pre-certified depths, is more consistent than a loose surface. This is mainly because a loose surface needs frequently ‘topping up’ to maintain fall protection and levels need to be kept consistent – this can be a challenge in high wear areas. For these reasons and many more, clients come back time and time again to JungleMulch as a problem-solving surface which offers peace of mind. 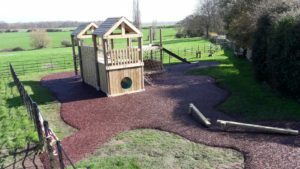 If you’d like to consider using JungleMulch as a playground flooring solution for your area, please feel free to get in touch! You can reach our experienced team directly on 01564 742 811. Alternatively, why not take a look at our ‘How to choose a safety surface’ guide? The guide has further information on JungleMulch and why it is a great alternative to natural bark surfacing. Click below to find out more!